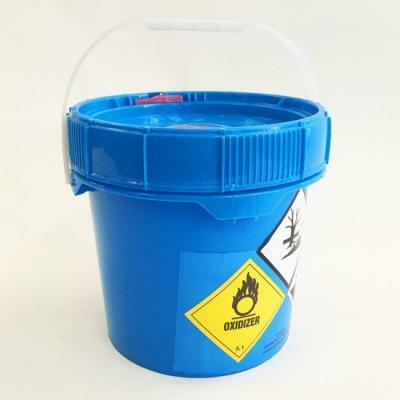 Accepta offer a range of high performance effervescent chlorine tablets that have been developed to offer a fast dissolving, convenient, safer and more accurate disinfection alternative to liquid bleach. 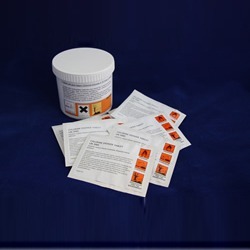 Accepta’s chlorine tablets are specially formulated using a dry chlorine donor, sodium dichloroisocyanurate (NaDCC) which is carefully blended with reliable effervescent components to create a highly effective disinfectant product in a convenient, easy to use tablet form. Accepta chlorine tablets are a safer, more effective, economic and convenient disinfectant. They are fast acting and have a complete spectrum of biocidal activity, being effective against virtually all known bacteria, bacterial spores, algae, fungi, protozoa and viruses. Apply tablets strictly in accordance with the recommendations of your Accepta technical consultant. For further technical assistance concerning dosage rates please contact Accepta technical support.